With Instagram in the fold and Opera in its sights, will Face.com be the next big acquisition for newly minted public company Facebook? Face.com is an Israeli company known for its "best in breed" facial recognition technology. When you're launching the kind of offensive that Facebook's mounting in the photosphere, it only makes sense to have top-shelf mug finding technology, like Face.com. Moreover, Face.com has started peddling its wares in the mobile world—a world that's a top priority at Facebook right now—with an iOS app called KliK, which allows people to "tag" their friends in real time. 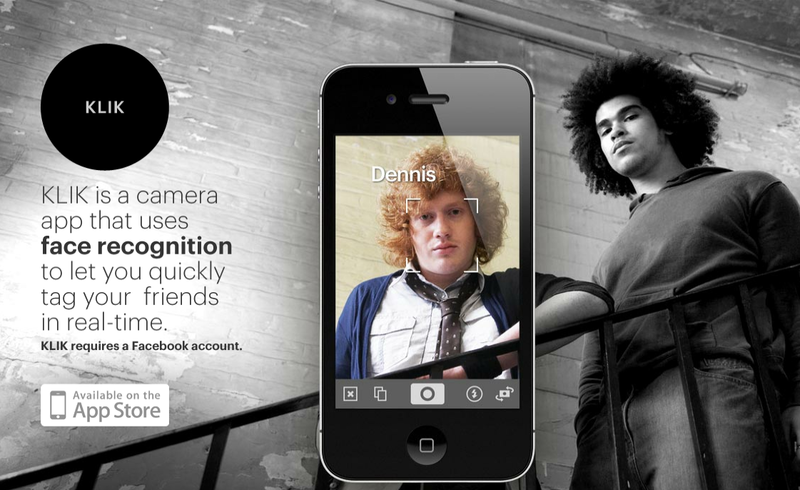 Face.com already makes a facial recognition app for Facebook called Photos Tagger, which allows members to scan photo albums on the social network for faces of "friends" and its API is used by the social network in its existing facial recognition scheme. Even before Facebook grabbed headlines with its acquisition of Instagram and was awash with cash from its IPO, it was rumored that the social network was interested in the facial recognition firm. More than a year ago, for example, the Israeli business newspaper TheMarker published a story claiming Face.com rebuffed efforts to purchase it by Facebook. The latest speculation about a Face.com acquisition was reported in the Hebrew language newspaper Calcalist, which valued the deal in the "tens of millions" of dollars. Another Hebrew language news site, Newsgeek, pegged the purchase price at between $80 million and $100 million. By comparison, Facebook paid $1 billion for Instagram. According to The Next Web, Face.com CEO Gil Hirsch is being laconic on the acquisition rumor, saying "nothing new to share." As valuable as facial recognition has been to photo seekers, it could pose a threat to privacy to Facebook members in the long run, as Megan Geuss points out in PC World. "Facial recognition may be just one more way for Facebook to push the visual part of the social graph (photos of us) toward being more public and far less private," she writes.